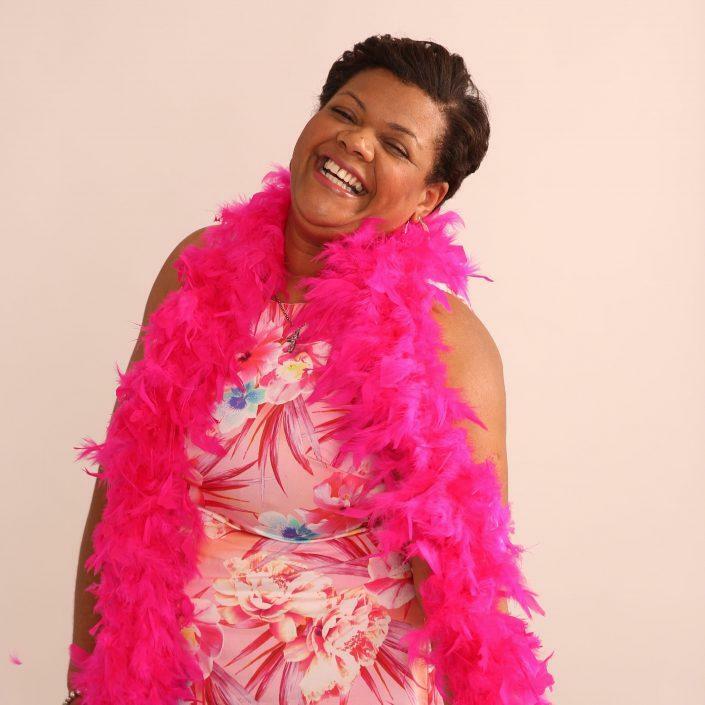 Brenda George, seasoned wear it pinker gives her top 10 tips for organising a wear it pink day at work. Get the boss on board. Talk to your boss about Breast Cancer Now – and why the whole company should wear it pink on Friday 21 October. Save the date. Up on the wall and all over the intranet, make sure you promote your event everywhere! You’ll find a poster in your free fundraising pack, so sign up to receive your pink pack today. A month in advance I go out to my contacts to see if they will donate and prizes for a raffle on the day to help increase our fundraising total. Find out about matched funding. Perhaps your company has a scheme to match the amount you raise. That’s double the money for no extra effort. Make sure you’ve got everything you need… posters, recipes, bunting etc. you’ll find these in your fundraising pack and you can download more online. Share the load. Get a group together to help on the day. There’ll be plenty to do – from collecting cash to making sure everyone signs the gift aid form. In the week leading up to wear it pink day I ramp up the excitement and the fundraising by reminding everyone to wear it pink. Make sure on the day you don’t forget to take lots of photos and share them with Breast Cancer Now on social media #wearitpink. We always enjoy the day especially with all the cake on offer! Pheww… you did it! Now you can enjoy the weekend, knowing you’ve made a big difference! The following week I chase up any outstanding money, pay in my fundraising money to Breast Cancer Now and I announce the grand total and thank everyone for taking part.